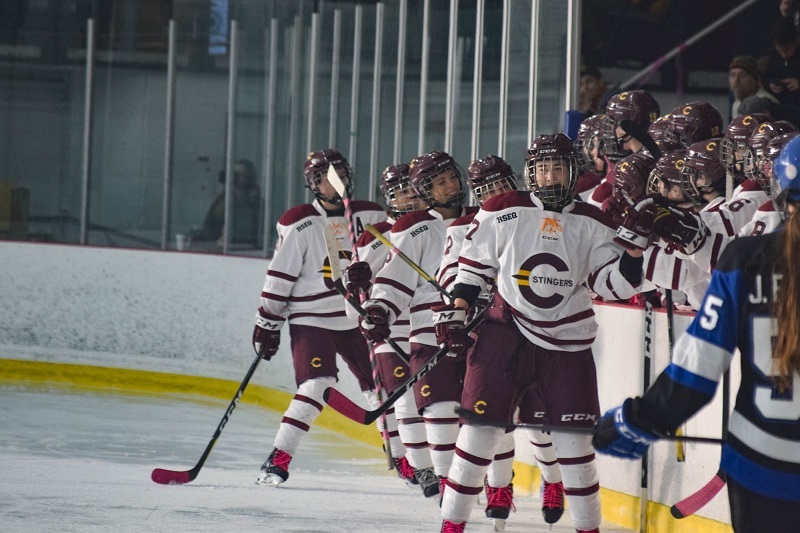 It was a learning season for the Concordia Stingers women’s hockey team, which saw many ups and downs. They were eliminated in the Réseau du sport étudiant du Québec (RSEQ) semi-final in February. The Stingers started the season with 11 rookies, and finished the regular season in second place with a 13-4-3 record. Head coach Julie Chu said that if there’s one thing to take away from this season, it’s growth. Forward Lidia Fillion (pictured) finished the season with seven goals. Photo by Mackenzie Lad. After winning five of the first 10 games, Chu asked her players for patience. Five Stingers earned individual RSEQ awards, including forwards Audrey Belzile and Rosalie Bégin-Cyr, the Stingers’s best scorer and the RSEQ’s highest-scoring rookie, respectively. Chu said the working environment her players built help them to succeed. Veterans Katherine Purchase, Devon Thompson, Melinda Prévost, and Sophie Gagnon won’t be back with the Stingers next season. Chu said these graduating players helped develop Concordia’s hockey program into what it is. Despite Purchase’s departure, the Stingers will still be able to count on goaltender Alice Philbert for the upcoming season. Chu said that having Philbert with the team for the seasons ahead is huge. The Stingers announced in December that forward Scout Watkins Southward of the Kingston Junior Ice Wolves will join the team for the beginning of next season. Chu thinks Watkins Southward will bring a lot to the team.